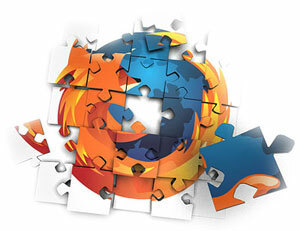 Cool Firefox Themes Theme Up Firefox: Cool Themes and Installation Tips – MillionClues! Today I stumbled over a cool collection of Firefox Themes @kainth56‘s blog. Though I knew Firefox supports themes, I had never given it a real try. I always thought that Themes doesn’t add any productivity, then why bother, but I am about to be proven WRONG. The collection had the Chromifox Firefox Theme which was too good to resist. It’s a Firefox mod that looks like Google Chrome. I was on Opera then, (I use opera for normal browsing and Firefox for Blogging and Designs), and so I downloaded the theme onto my desktop. But hey, how to install the theme? I tried opening the theme file, in Firefox (File > Open File) but that didn’t work. To install plugins that you downloaded, you just have to open it using the File menu, but with the theme it didn’t work, don’t know why. Whom do you ask all your doubts? A good share of people would say the same answer, Google. Google replied with a link to hardwaregeeks forum on How to install Firefox Themes! Drag and drop the theme file there! Checkout the collection of some cool themes and give your Firefox a new look! Cool article buddy! I love those themes! And can you come with a post which helps newbies for getting copyright-free images ? Nice Post. Loved it. May be you should also post about the new plugins too that firefox supports. This post is a spice up for already rocking Mozilla FF.Like Amal said we need some posts related to new plugins. Unfortunately I am not using FF into it’s full extent.I prefer IE over FF.